Welcome to I & A Car Services in Slough. Your local, independent garage - serving Slough, Windsor, Maidenhead and the surrounding area. 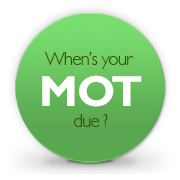 As members of the Motor Industry Code of Practice and as a Mobil 1 Service Centre, we take pride in exceeding the requirements of all our customers, be they private or fleet vehicles and can also cater for all makes and models as well as light commercial vehicles. Welcome to I & A Car Services. We are a local, independent garage, serving Slough, Windsor And Maidenhead and the surrounding areas.